The Irish Wolfhound dog breed is simply enormous. This is one of the tallest breeds, and they are muscular and massive. Gentle giants, they can reach the height of a small pony and when standing on their hind legs may reach 7 feet tall. 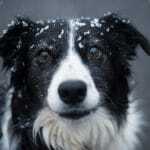 Dogs have a shaggy, rough coat and bushy, wiry eyebrows. 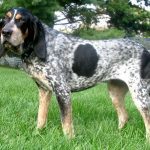 The coat may be white, black, red, brindle, or gray (the most common color). Their paws are round and large, with arched toes and curved nails. The head is long, with ears that are kept back unless the dog becomes excited. The chest is exceptionally deep and the shoulders are very strong, giving it the appearance of grace and strength. Molly – May 2009 taken by Airwolfhound from Flickr is licensed under CC BY-SA 2.0. Irish Wolfhounds are patient, sweet-tempered, generous, intelligent, and thoughtful. These dogs love children and are very loyal to their family. They will greet everyone and anyone as a friend. 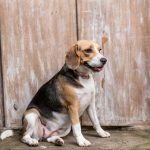 This breed is slow to mature – it can take two years to reach adulthood – but they grow rapidly and require lots of food, mental and physical exercise, and firm training. Dogs must be taught not to pull on the leash when they are young and not too strong. They respond well to consistent, firm, gentle leadership. Dogs will get along well with other canines and other animals if socialized at a young age. They can be a bit clumsy due to their size. Adult dogs tend to be 28-35 inches tall and weigh around 90-150 pounds. The Irish Wolfhound dog breed does not do well in an apartment setting. Although they are mostly inactive indoors, they need at least a large yard, if not more room, to run around. They take up a great deal of space in a home, car, yard (and heart! ), so owners should be prepared. They need to be part of a family to be happy. This breed needs a lot of exercise, but should only be taken off-leash in a secured area. These dogs like to chase things. 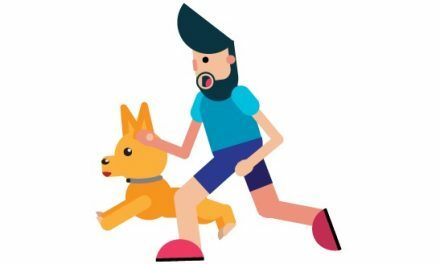 To stay healthy, dogs need a daily long walk or run. Dogs should always be made to walk beside or behind you; these giant dogs need to know that you are the leader. 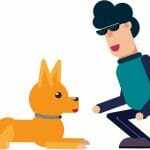 Be careful not to over-exercise dogs when they are young. 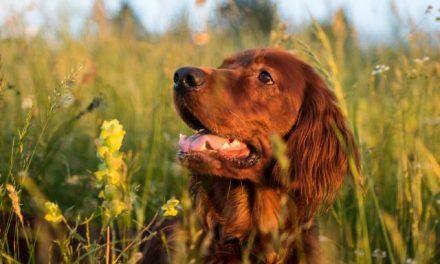 Well-cared for dogs can be expected to about 6-8 years. 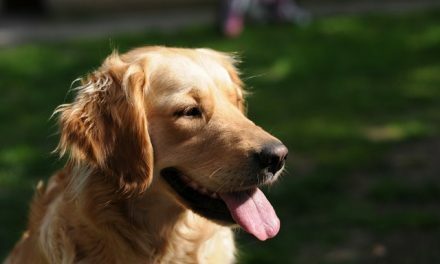 The medium-length coat requires thorough grooming with a comb and brush. The coat should be plucked twice a year to remove dead hair. 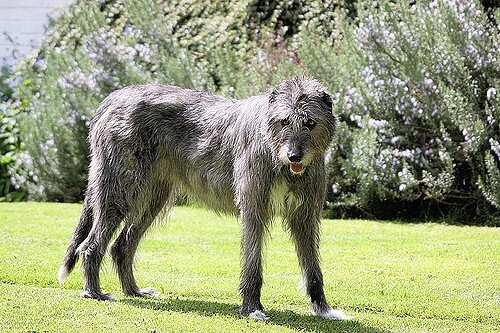 The Irish Wolfhound dog breed is an old breed, likely dating back to the first century BC. Irish Wolfhounds were used in war, for guarding property and herds, and for hunting wolves, boar, deer, and elk. 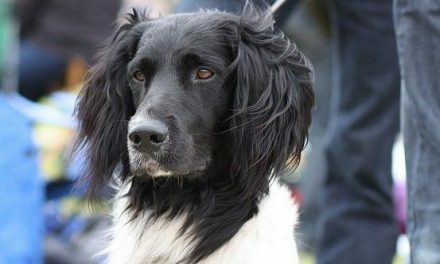 These dogs were often royal presents and were so popular that Oliver Cromwell stopped their export out of Britain. When wolves and boar became extinct in Ireland, the breed began to decline, but was carefully bred in the 19th century, when the bloodline was revitalized through mixing with Deerhounds and Great Danes. The Irish Wolfhound is the mascot of the Irish Guards.